The CKS Stride VR-80, manufactured by Asmodus, is an elegant TC Box MOD with beautifully crafted design. Powered by single external 18650 battery. 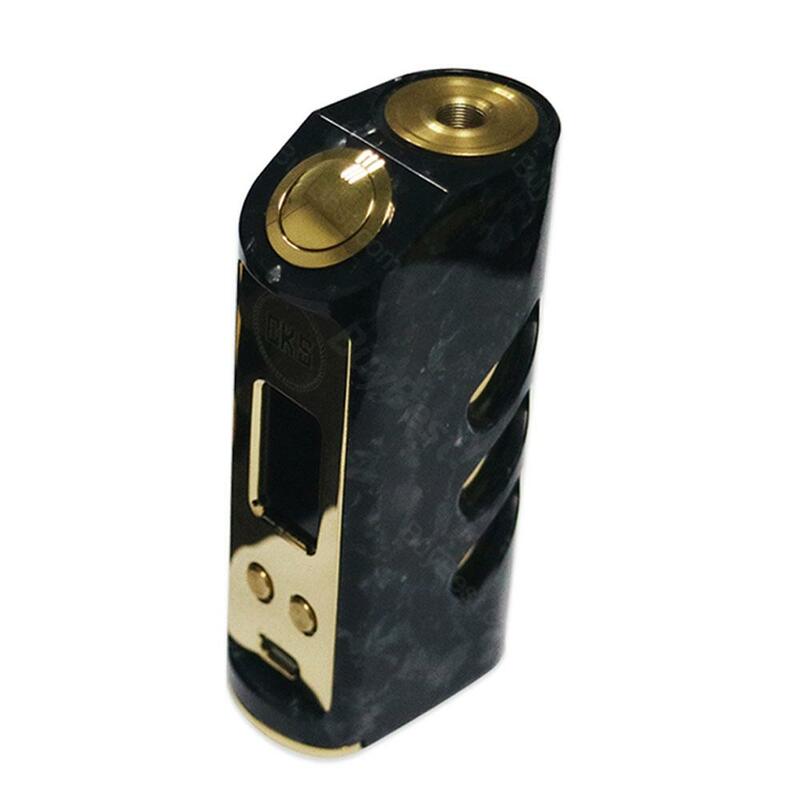 The CKS Stride VR-80 MOD from Asmodus is a unique and attractive TC Box MOD with colorful hybrid stone design and gold-plated finish. Stride VR-80 supports 80W max output working with Ni200, Ti and Stainless steel 316 wires under precise temperature control modes. Together with its ergonomic design, Stride VR-80 MOD is extremely comfortable in hand and will bring you an amazing vaping. • It doesn't come with 18650 lithium-battery. You shall buy it separately. Awesome seller! Great deal on this hard to find gem. Received way sooner than I expected. So glad I found Buy Best! The mod is beautiful and powerful first voopoo product and i love it. The tank is great too very well built the n3 coils are the best in my opinion fantastic flavor and vapor with just the right pull restriction. I used this MOD of different color from before. I wanted this color and I was looking all over the world. Combination with a atomizer is difficult . But I love it. There were various things, but it was good that a good deal could be made. Items delivered early than expected. Malaysian buyer. A solid box mod with beautiful colored hybrid stone design. Very comfortable hand feel. It's the same product as that with Asmodus logo, co-made product.